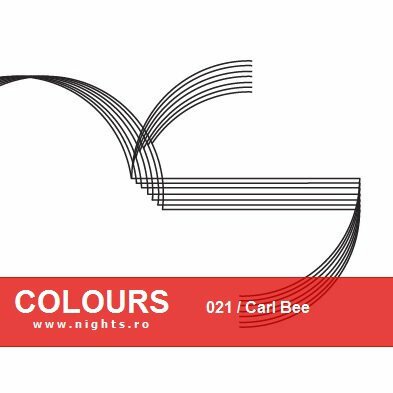 This week COLOURS mix comes from one of the most talented and upfront DJs in Malta, Carl Bee. Carl Bee is a rare breed of DJ. His ear for a tune has become a hallmark; consistently picking up unknown, exclusive tracks and turning them into dance floor monsters; this makes his every set a spectacular event. Carl’s performances display a wide range of music and styles, from minimal toTech-house & progressive . His upfront style and extensive selection of material has earned him recognition and praise from the very highest levels. Carl’s reputation and workload has rocketed. Since 2004 Carl’s career has expanded keeping Carl packed with gigs and performances. He kicked the year off doing a highly acclaimed set at the CREAM NYE event. After such an impressive set CREAM(Malta) have assigned Carl as part of their resident DJs to play during all sold out CREAM events. He has performed official warm ups for artists such as CASSIUS, DEEPDISH, DAVID PENN (STEREO PRODUCTIONS) to name a few. Carl is nowadays a regular in all top events held in Malta as well as performing alongside Miss Roberta in all Get Funky events in various clubs. It is evident that 2006 is set to be a big year as in June he has been awarded Best Upcoming DJ. He is without question one of the Malta’s finest new talents. His passion to make each set so unique, from music in the past, present and future, allows Carl to stand out from the hundreds of other new DJs trying to break through. International Promotion Residences in Malta: Cream Renaissance MTV Local Weekly residencies: Places Club Get Funky Promotions Gianpula Club Sugar Shake (After Hours) La Grotta, Gozo XS Club, Gozo Milk Sundays @ Silk + All Fresh Music agency & Clubbinmalta.com’s big events.